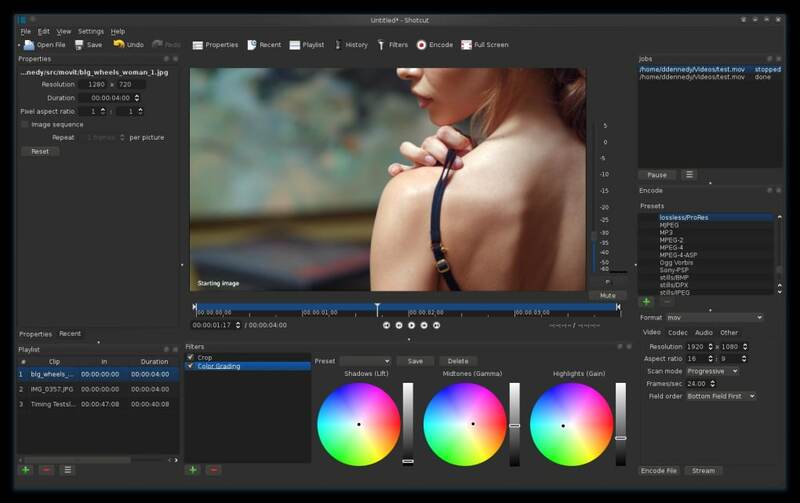 Shortcut is a free and open source video editing app. Create and edit videos with a range of audio and visual editing tools. Offering up an engaged helpful community and tutorials, Shortcut positions itself as a more adaptable free alternative to pricey alternatives like Adobe and iMovie. The overall appearance and interface is familiar and simple to navigate for anyone used to video editing software. Without a library of optional plug ins, however, the more advanced features are less user friendly than with the genre leaders. While the active forums do generally provide answers to technical questions, certain issues can become frustrating. Another complaint with Shortcut is the general performance. Crashes and bugs are common and often result in lost work, cross-platform versions run into particular failures and frames often skip or repeat for no obvious reason. Due to the helpful learning resources and lack of cost, the software does provide a useful entry point to video editing software for beginners. Professional or advanced users will probably find the upgrade to more established alternatives necessary. Shortcut is a decent enough entry point to the world of video editing. Video tutorials and forum posts are sufficient to start playing around, but an upper limit in usefulness becomes quickly apparent. What do you think about Shotcut? Do you recommend it? Why?